Highways, Network Rail and London Underground (LUL) Infrastructure Protection Act . . . What’s that all about? Building works carried out adjacent to the public highway or rail infrastructure will be subject to Highways Agency or Network Rail approvals. There is statutory requirement for local councils, Network Rail, London Underground (LUL) and others (HS2 etc.) to ensure that the nation’s infrastructure is protected. Croft is perfectly placed to provide this information and has completed numerous Highways, London Underground and Network Rail related projects. Each government body has its own rules and guidance. The simple rule to remember is the Exclusion Zone. If you are inside the Exclusion Zone the Infrastructure Act will apply. There are some other rules: Cranage must not oversail a certain zone, consideration for collapsed cranes and scaffolds that can fall onto an Infrastructure asset. Pay their fee….there is always a fee! Provide an Approval in Principle (AIP, or Form 1 for Network Rail). This document lays out the principles that are to be used. 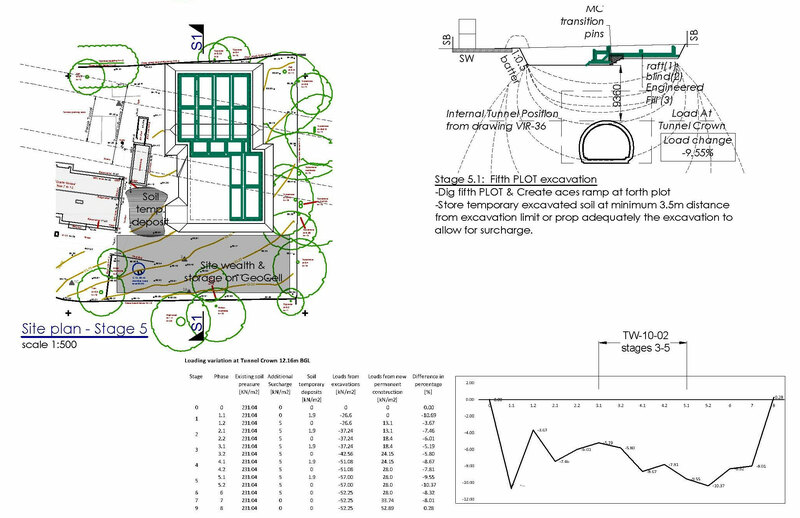 The codes designed to, the idea of the structural assumptions and applied loads. Importantly it defines the Category of Design check to be undertaken for the permanent and temporary works, known as CAT I, II & III checks. The design approach requires the approval of the government body. The detailed designs are undertaken and checked by the client’s consultant team. CAT II – once the design is completed the drawings and reports are provided to a separate design engineer and an inline design is undertaken again. Internally Croft sets up an internal “Firewall” so that the second design team that was not involved on the project, can provide a fresh opinion on the design. CAT III – this is similar to CAT II but the design must be provided by an independent external company. It provides a different approach, on one project over a network rail tunnel, Mott Macdonald undertook a design led by a geotechnical engineer, that considered the effects differently to our structural engineers. Both resulted in the same outcome but approached the design from a different angle. During this stage LUL (London Underground), Highways and Network Rail take a back seat. They have approved the design in principle. It is for the design team and the CAT checkers to ensure it is completed in detail. They will ask for the completed design checks, but not the detailed design information. A final sign off is sent for approval and typically a one-page signed sheet is received. Construction Approval - With the design approved, the construction approvals will be needed. This is where RAMS (Risk Assessment & Method Statements) are provided and approval is gained. The areas of concern may be construction sequences and loading, cranage, scaffolds, surveys etc. 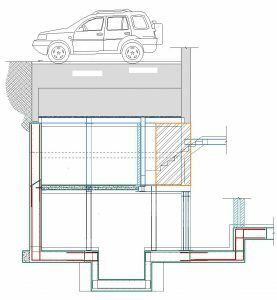 An interesting project in Streatham required the construction of a four-storey apartment development above a mainline Thameslink Tunnel. Read more . . .
Oldbury Place was a complex project converting an existing Victorian industrial building into three modern townhouses and incorporating a new two-storey basement under the full premises. Read more . . . The alterations to the vault were fairly minor but during the works the street light needed replacing, as a result of this Highways became involved. Croft were employed because the original engineer was not confident in dealing with Highways. The main item was the design of the temporary works and the CAT II check necessary for this. Croft provided this information and the sequence of the works. Clearly from the sketch we are not artists but do try and give a 3D image where possible. A lovely large plot in Sydenham with planning for 4 homes, the only problem being that it was over a tunnel. The options for the design could have been to follow the deep truss and piled solution used over the Thames Link Tunnel. A less expensive option was discussed with the client of a balanced raft. 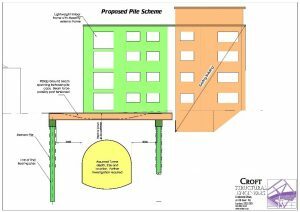 A balanced raft looks to offset the load of the building with the weight of the soil removed. Then the tunnel has no effective load change to it. 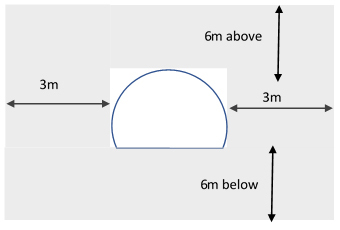 How does one remove the soil and build the raft without the load affecting the tunnel? The construction requires the old table cloth trick! 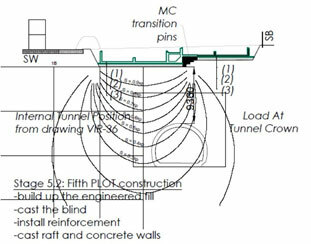 Croft provided sequence drawings that were followed on site that minimised the unloading of the tunnel to within acceptable limits. Croft worked through the construction sequences working out the change in loads on the tunnel. Clearly our first run through wouldn’t have been perfect and we undertook iterations of different permutations to find a best fit solution. The final design resulted in the base being cast in 4 quadrants. 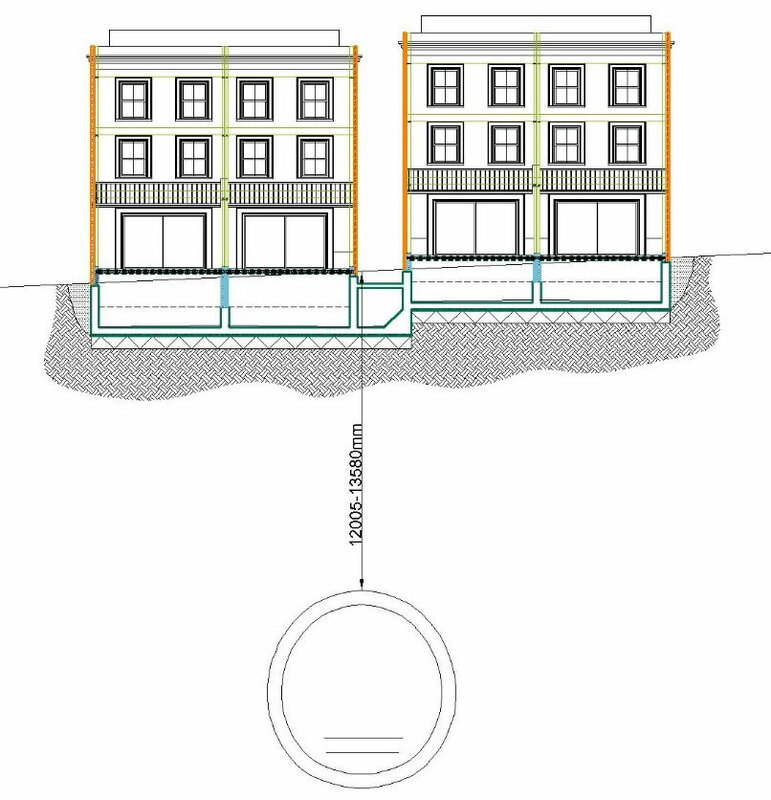 As we speak Croft is working with Oxford and London Basement Company on the installation of two basements for separate properties against an open cut section of the District Line. The works require that the basement be placed against the existing retaining wall.